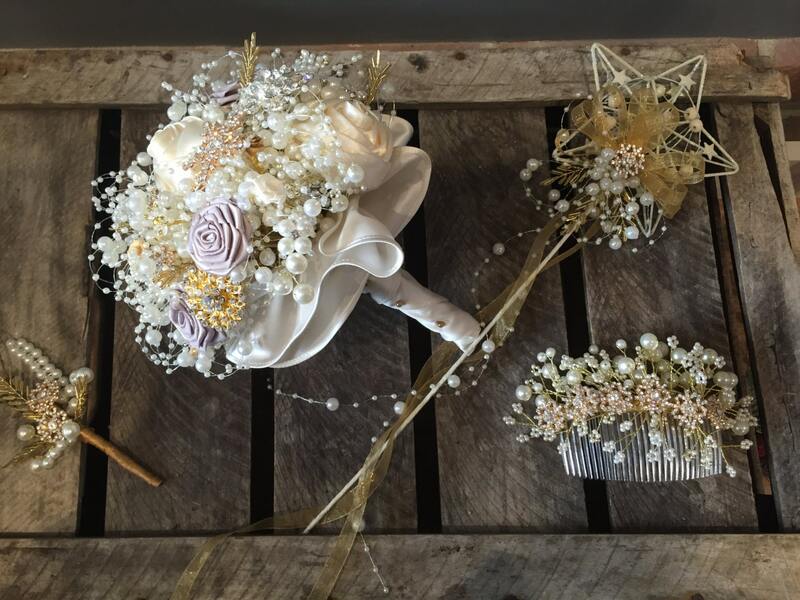 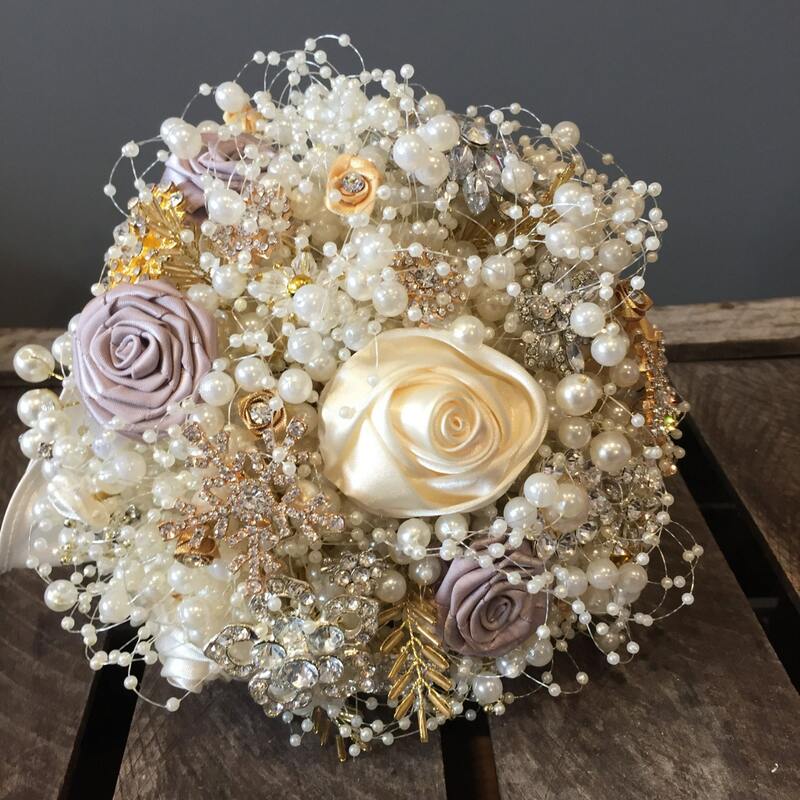 This bouquet is made on a base of ivory pearls and contains ribbon roses in taupe and ivory in different sizes along with many different diamantes, pearls and brooches. 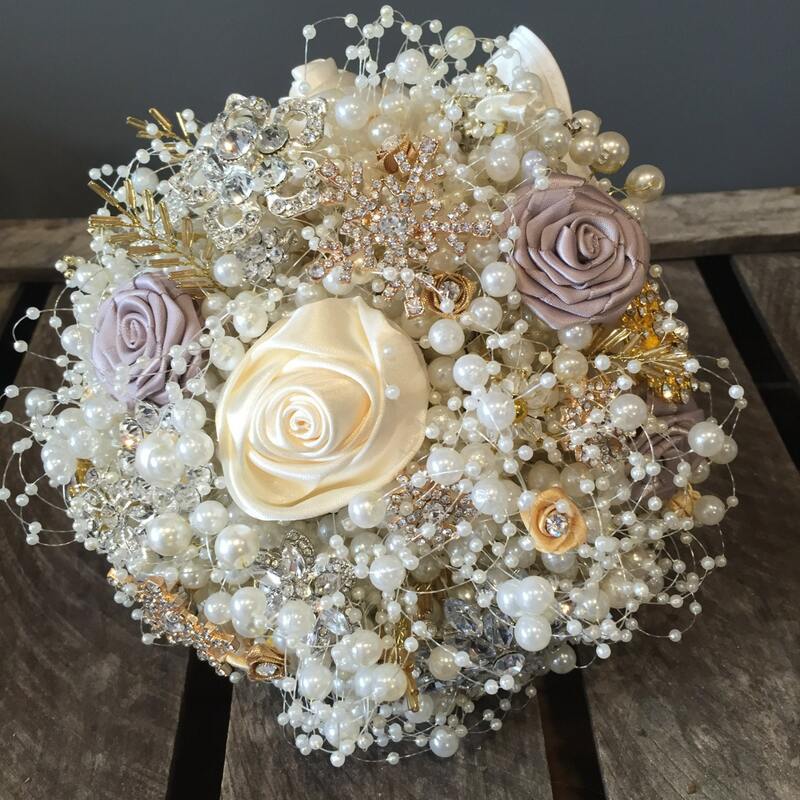 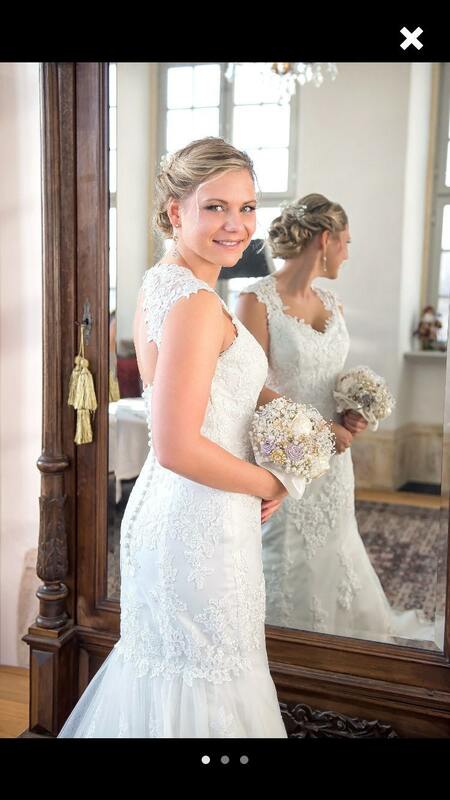 This is made to order and can be made in any colour to suit your wedding day. 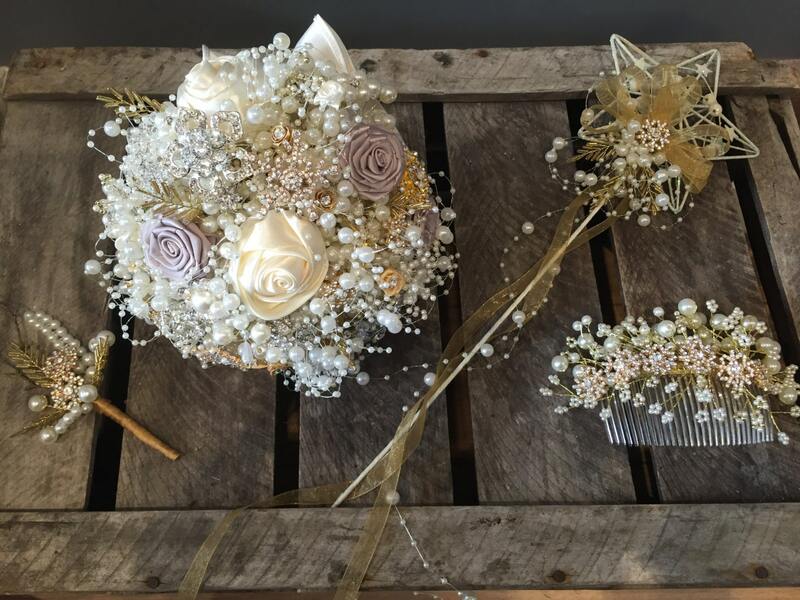 Every bouquet will be slightly different.